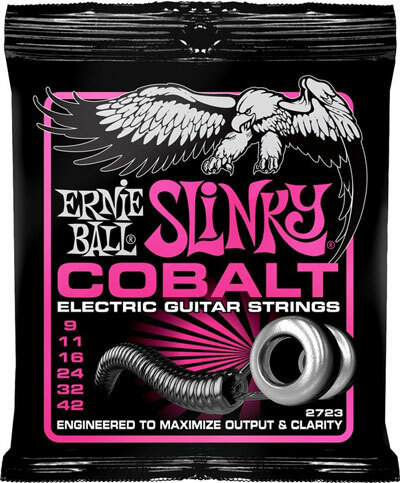 The new Ernie Ball Cobalt Electric Guitar Strings are made of Cobalt Steel - a new approach to guitar tone. Utilizing Cobalt as a key feature, the strings produce a higher magnetism to the magnetic pickups resulting in increased output and clarity. The low end will be tighter and clear, while the high end will sparkle with warmth - as John Petrucci calls it... "butter".